On Sunday, November 11 at 14:50 AEDT, Fleet Space Technologies’ first two satellites, Proxima I and II, were launched via Rocket Lab’s manifest, It’s Business Time — this launch marks Australia’s first ever commercial cubesat launch of smallsats to orbit. 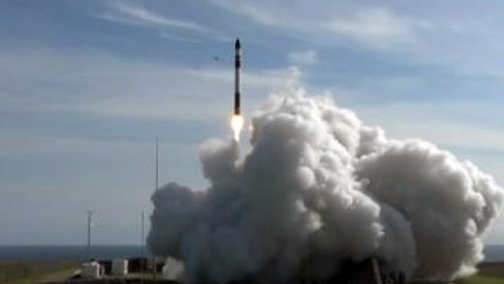 The launch of the two smallsats at Launch Complex-1 on New Zealand’s Mahia Peninsula represent a huge step forward for Fleet Space Technologies’ mission to build Earth’s next industrial revolution, bringing some 75 billion devices online. The Proxima I and II satellites are a pair of identical 1.5 U cubesats that were designed and built within six weeks. Flavia Tata Nardini, Co-founder and CEO, Fleet Space Technologies, said that this is an incredible milestone to have successfully launched our first commercial cubesats, Proxima I and II, onboard Rocket Lab’s latest mission. This is the first launch of many scheduled for Fleet Space Technologies the next smallsats, Centauri I and II, will be pushed to orbit via a SpaceX Falcon 9 for the former, and an ISRO’s PSLV C43 for the latter, during the coming weeks. Thist is an extraordinary feat to have four satellites launching within one month of each other, on three separate missions.